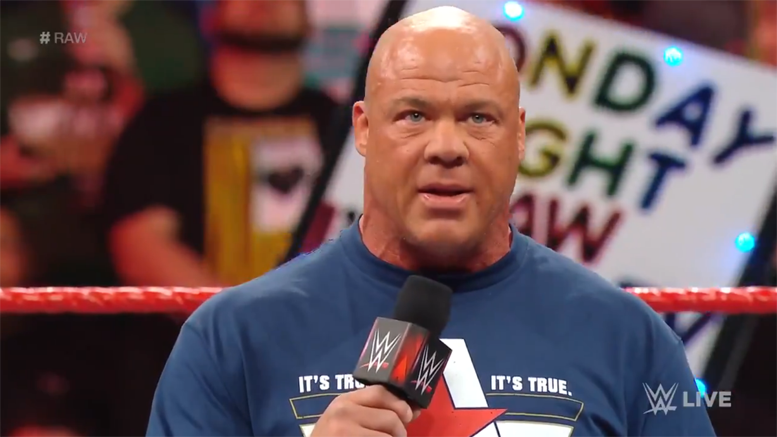 Kurt Angle finally has chosen an opponent for his farewell match at WrestleMania 35 … and it’s someone nobody was expecting. “The Lone Wolf” Baron Corbin will have the honor of going one-on-one with the WWE Hall of Famer in what is expected to be his final match ever. “I wanna thank the McMahon family for allowing me to pick my opponent for my farewell match,” Angle said on Raw earlier tonight. “There are so many superstars I would love to face, but there’s only one that I want to beat. And he is a man that has made my life a living hell since I’ve been the general manager of Monday Night Raw,” he continued. Check out Angle’s announcement below.